Looking for a farm or ranch near you? Find it on our Eatwild Washington map, or browse the alphabetical list below. Find local stores, restaurants, and markets that carry grass-fed products on our Washington Beyond the Farm page. Acme Farm raises grass-fed, antibiotic-, chemical-, and grain-free lamb. We follow organic practices on our farm. Our uncommon sheep are a hardy, ancient breed, considered to be a genetic resource for now and the future. They are a small, hardy, hair sheep breed that carries their fat around their internal organs, which means a low-fat, fine textured and mild flavored meat. All processing is USDA inspected. We usually have ground lamb, chops, legs-of-lamb, shanks, and two types of sausage, spicy Italian and breakfast, available. You may special order whole lamb or other cuts or varietal portions to be reserved at the next harvest. Contact Nancy by phone or e-mail to arrange for farm sales. Our lamb is also available at Everybody's Store in Van Zandt, and Farmer Ben’s between Everson and Lynden, all in Whatcom County, WA. Acme Farm, Nancy Hibbing, 5808 Saxon Road, Acme WA 98220. (360) 722-1322. Acres in Zion in Enumclaw, Washington raises natural grass fed and grass finished beef; primarily Angus and Herefords. You can rest assured we do not use antibiotics or growth hormones in our animals. They graze on the lush pastures along the Newaukum Creek near Enumclaw, and in winter are fed quality hay from a local certified organic farm. The animals are processed locally and cut and wrapped to your specifications. We may be reached by phone or by email. Please visit our website for more information about us. Acres in Zion, Eric Robb, Enumclaw, WA. (253) 736-4848. Akyla Farms offers pastured chicken, pastured pork and farm fresh eggs from our small laying flock. At Akyla Farms pastures are the cornerstone of the farm and we enjoy seeing and hearing our animals happy and healthy, eating what mother nature intended them to eat. The meat chickens are housed in bottomless pens that are dragged to a fresh piece of pasture everyday following a small cow herd. In the brush, the pigs enjoy rooting in the dirt and clearing the land behind an electrified netting and are moved to a new location before they run out of green vegetation. Chickens, ducks and geese make-up the laying flock and are allowed to roam in the yard and wooded areas as they wish. Please visit our website for more information and let us know if you would like to visit one of our farm locations to hear the animals munching away or to pick up eggs. Akyla Farms, Carol & Kevin Osterman, 24498 Polte Road, Sedro Woolley WA 98284. (360) 941-1533. Amana Ranch is a small grass-based multi-speciated family farm in Cornelius, Oregon. We grow pasture-raised nutrient-dense meats (chicken, beef, turkeys, lamb, and goat) and eggs in a stress-free and chemical-free environment. Ninety-nine percent (99%) of the diet of our ruminants consists of fresh grass and brush forage (in the grazing season) or grass hay (in the winter months). The 1% exception is for those special treats of non-GMO whole grain used to reward and train animals. These treats typically go undigested and end up being picked up by our free-roaming chickens. Free-choice non-synthetic minerals such as kelp and trace mineral salt are provided as needed to cattle. Delivery is available within the Greater Portland Area. Sign up today to see what's in stock and start shopping: www.amanaranch.com/register. Amana Ranch, Nour Mouktabis, 3270 NW Susbauer Road, Cornelius OR 97113. (971) 713-5656. Amazing Grace Highlands – Beef for the discriminating beef connoisseur! NO ANTIBIOTICS…..NO STEROIDS….NO CHEMICALS AT ALL! At Amazing Grace Highlands we raise only Scottish Highland cattle, currently 40 head and growing. Noted for their lean, nutritious meat that tastes like beef used to taste, our cattle are grass fed and grass finished. This is how nature intended cattle to eat. Our lush Stillaguamish Valley pastures are grazed using intensive grazing management practices whereby the cattle are given enough grass for 2 or 3 days and then moved to an adjacent section. We repeat this process for 20-30 days, thus allowing the grass to recover before re-grazing it. This sustainable practice creates healthy forage without the use of pesticides or herbicides as the grass out-competes weed growth. Additionally, we empty and scrub their water troughs to provide the cleanest and healthiest drinking water for our cattle. This is done every time we move them to their next grazing section. We grow and harvest all of our own haylage for winter feeding, assuring content and quality! Humanely raised in a beautiful environment and being humanely harvested are IMPORTANT both to us and to you. Upon harvest, our beef is dry aged 17-21 days creating a full-flavored, premium aged product. It is orderable by the quarter, half or whole in the fall and sometimes in the spring as well. American Alps Ranch is proud to offer you our all natural grass fed, grass finished Lowline Angus Beef. We raise our cattle on our beautiful ranch in the Skagit River Valley of Washington state. We are a small, family-owned ranch. No hormones, steroids, grains or antibiotics are ever used on our animals. They eat grass—the food nature intended—and drink pure water straight off the North Cascade mountains. Our Angus cattle graze freely on lush pastures in the fresh air and sunshine. This is good for our cattle, good for the environment and good for you. We use MIG (Management Intensive Grazing) to ensure the very best grass for our cattle and the long-term sustainability of our pastures. At the peak of their flavor, our cattle are harvested by the IGFC, a local USDA Inspected and Certified Farmer’s Co-Op which comes to our ranch, reducing stress on the animals. Each one of our animals is individually inspected and certified by the on-site USDA inspector, guaranteeing our customers a healthy product. We strictly follow all the requirements for Organic though we are not certified. And the grass fed flavor of our beef is delicious! Local Delivery! We heartily support the “Buy Local, Eat Local” philosophy. For this reason, we offer local delivery to our customers in the greater Seattle and Bellingham, Washington areas. Once a month we load our truck here at the ranch with our healthy and nutritious grass fed beef and make deliveries to pre-arranged central locations down the Hwy 20, I-5 & 405 corridors from Bellingham to Seattle. This great service saves you on shipping costs (only $25 per delivery), saves the environment with one combined trip, and you get our delicious, grass fed beef conveniently delivered to you. What could be better than that? American Alps Ranch, Rick and Brenda Palmer, PO Box 339, Marblemount WA 98267. (360) 873-4507. Autumn Hills Woollens and Sheep Co. raises sheep for wool and for market lamb production. We raise Merino and Bluefaced Leicester for wool. Our market lambs will be crosses from Bluefaced Leicester, Border Leicester and then finished with a Dorper Ram. Our breeding strategy centers around sheep that do well in high rainfall areas and sheep that can gain weight easily on pasture grass (grazing in good weather and fed grass hay cut from the same field during inclement weather in a sheltered area). We do not feed our sheep grain. Autumn Hills Woollens & Sheep Co., Jeffry Seldomridge and Patricia Keeley, 685 Boistfort Road, Curtis WA 98538. (360) 623-5398. Baron Farms raises grass fed Beef, pasture raised Pork, and pasture raised Chicken on lush pastures in the Yakima Valley. Beef is offered by the 1/8th, 1/4, half and whole packages. Smaller beef packages and ground beef packages are also available. Pork is offered by the half or whole package. Our animals spend their lives peacefully grazing on our high quality grass and legume-based pastures. We rotate our animals to ensure they always receive the highest quality and quantity of pasture. Our pigs' pasture diet is supplemented with fruit and vegetables from our produce garden. At no time do we use antibiotics or hormones. Customers can pick up their beef and/or pork or we can ship for a nominal fee. We offer shipping to customers within the states of Washington, Oregon, and Idaho. Baron Farms, LLC, Cameron Baron, 2971 West Wapato Road, Wapato WA 98951. (866) 9MY-BEEF (866.969.2333). Basket Flat Ranch is located in the Pacific Northwest, near Battle Ground, Washington. Basket Flat Ranch utilizes the mild, wet climate, longer growing season, and lush pastures to produce a superior, all natural, grass fed beef product for your dinner table. We feed our beef animals only grass and clover pasture and locally grown grass and clover hay during the Winter season. We fertilize our pastures with manure and manure compost and avoid the use of chemical fertilizer. We do not use any hormones or anti-biotics and we are a small ranch with tame animals that we personally work with in a low stress manner. We raise Angus beef (both red and black color), and we are constantly selecting genetics in our breeding stock for the best tenderness, marbling, and steak thickness. We are passionate about raising beef with all natural techniques and carefully taking care of and stewarding our animals and pastures year after year so we can produce a healthy beef product for our table and yours. We serve the S.W. Washington and Portland, OR Metro area. Our beef is available for pick up from a local butcher in Battle Ground, WA. Please visit our web site for ordering, quantities, pricing and availability. Basket Flat Ranch, Jon Schoenborn, 21309 NE Basket Flat Road, Battle Ground WA 98604. (360) 601-5918. BCS Livestock raises natural grass-fed lamb and pastured farm fresh eggs. We also sell wool blankets made from the wool of our sheep. Our goal is to raise our animals humanely and deliver a natural, wholesome product while sustaining and improving the land. Our products are available direct from the farm. Please call or e-mail. BCS Livestock, Skip, Betsy and Casey Smith, 19100 Highway 20, Winthrop WA 98862. (509) 996-3159. Birkeland Farm is a family-run 70-acre Beef Ranch in Beavercreek, OR. We raise grass fed/grass finished Beef and pasture raised Chicken. Our cows spend their life 100% on pasture in a natural herd environment, and are never confined to small spaces. They do not receive any hormones or antibiotics. We do raise heritage Corriente and British Whites as well as some standard Beef breeds. Our Chickens are raised in Salatin-style moveable pens after two weeks in the brooder. They move every day onto new pasture and receive a no-corn, no-soy locally-milled feed. They are professionally processed by a local family. No added hormones or antibiotics. Birkeland Farm, Lynne Van Dusen, 22280 S. Beavercreek Road, Beavercreek OR 97202. (503) 732-0265. Bob's Beef raises grass-fattened beef in Monroe, Washington. Bob's farm began as a dairy 30 years ago. After selling the milk cows in December 2000, we decided to get a few beef cattle. A few cattle have turned into a herd of 18 Herefords and Angus. Our cattle are born on the farm in a closed herd and are not in contact with any other herd, so there is less of a chance of bringing in any disease. Our animals are grass fed and in winter they get top quality hay. they are not fed hormones, antibiotics, or any animal by-products. They are free to roam from the pastures to the shelter of the barns as they choose. We are a small farm so our cattle can be in an uncrowded, stress-free atmosphere. Bob's Beef, Bob or Kathy Nash, 22630 Sofie Road, Monroe WA 98272. (360) 794-8829. Bone Dry Ridge Farm raises Icelandic Sheep, Scottish Highland Cattle, pigs and chickens . All are raised using organic practices but we are not certified. They spend their summers out on pastures or in a small wooded area. Over winter the sheep and cows are fed local hay. The pigs and chickens are fed certified organic grain. Our job is to make sure they have a healthy happy life. Healthy and happy creatures are a delight to take care of. We sell beef, lamb, pork, and eggs directly to consumers. To purchase from us, please contact us and we will add you to the mailing list. If you would like to know more about the farm, look at the website and/or contact us directly via email or phone. For sheep skins and raw wool contact us for availability. Bone Dry Ridge, Selma Bjarnadottir, 209 Hyppa Road East, Rochester WA 98579. (360) 273-1045. At Botany Bay Farm we use rotational grazing practices to produce healthy, contented animals, nourishing food and fertile, sustainable land. We currently raise and sell Pastured Chicken, Eggs, Rabbit, Beef, and Forest-Raised Pork as well as Rototiller Pork. All of our meat and eggs are 100% hormone- and antibiotic-free. We supplement our Pasture Raised Broilers, Layers, Rabbits, and Pigs with a soy-free and GMO-free feed (most of which is milled fresh on farm). The majority of our animals are processed on farm. Our Pasture Raised Chicken is available from the end of May through the beginning of October. We offer whole birds, cuts (quarters, boneless skinless breasts, and wings), broth parts, and organs on farm. You can also purchase our whole birds at any New Seasons Market or Chuck’s Produce & Street Market. Our Pasture-Raised Eggs are available year round and can also be purchased on farm or at New Seasons Market or Chuck’s Produce & Street Market. Our Forest-Raised Pork (available in the fall) and Rototiller Pork (available in the winter) are sold by the whole or half pig. Please check out our website for more information about our farm as well as product pricing. You can contact us if you have any questions about the products we offer or our farming practices. Be sure and check out our farm blog to see what's happening on the farm! Botany Bay Farm, Heidi Sturtevant, 13513 NE 132nd Avenue, Brush Prairie WA 98606. (360) 524-9005. Bright Ide Acres is a small, diverse livestock farm located in the beautiful Orting River Valley in the shadow of Mt. Rainier. The farm is operated by Andrew and Micha Ide, a young couple whose big passion is ethically raised meat. Too often the meat found in the grocery stores comes from animals who weren’t allowed to live natural lives. In addition to the ethical issues raised, the meat from such animals is less nutritious and flavorful than it should be. We are dedicated to providing our animals with the best care possible, and all are rotated onto fresh pasture. The sheep graze our lush pastures, the pigs root up grubs, grass, and roots, and the poultry scratch and peck at fresh greens and protein-dense insects. The meat and eggs harvested from such creatures far surpass what is commercially available, and we encourage our friends and neighbors to give it a try. We are proud of our high standards, and we think you will be too. We currently offer custom pork by the half or whole hog, whole pastured chickens, heritage turkeys for Thanksgiving, pastured eggs, and whole grass-fed lamb. Our pigs and poultry are fed non-GMO (corn- and soy-free) feed grown and milled in Washington State. Our pastures are pesticide- and herbicide-free. Please visit our website for more information or send us an email. Thank you for supporting local agriculture and ethically raised meat! Bright Ide Acres, Micha and Andrew Ide, PO Box 238, Orting, WA 98360. (360) 282-0252. Card's L Hanging S Ranch Grass Fat Beef—Our cattle have spent all their lives on our place, near Prosser in the Lower Yakima Valley. They and their mothers and grandmothers have eaten only what we raise: good grass and hay. No antibiotics or growth stimulants. We charge by the pound hanging weight; in addition the buyer pays cut, wrap, and farm harvest by local meat cutter. Beef is available by the whole, half or split half with a $200 deposit before harvest. Card's L Hanging S Ranch, Charlie and Linda Card, 7102 South Steele Road, Prosser WA 99350. (509) 788-1005. Castle Rock Ranch raises grass-finished beef from heritage breed cattle along the Coeur D’Alene River. Our unconventional management style means we move our cows onto fresh pasture every day to simulate the way wild herds graze and results in the building of topsoil, increased water infiltration and biodiversity, which are hallmarks of a healthy ecosystem. We never feed grain or use growth hormones or antibiotics on our cows and we never use synthetic fertilizers, herbicides or pesticides on our pastures. We grass finish with a goal of creating fat and inter-muscular marbling that makes meat tender and flavorful. Our heritage breed Aberdeen Angus and Dexters are smaller framed than most cattle and produce more manageable cuts of meat for customers that don’t want a 16-oz steak (you can always eat two 8-oz steaks). Animals are purchased by the quarter, half or whole where customers pay by the pound, with a typical quarter beef yielding a manageable 75 pounds of packaged beef. We only harvest July through November so that all animals have had at least 90 days on green, growing grass to maximize nutrition and quality. All of our beef is dry-aged for 10 days and then custom cut and frozen by local butchers. Pickup is at the butcher in Coeur D’Alene or our ranch and delivery is possible to the Seattle area but we do not mail beef. Castle Rock Ranch, Albert Walsh, 12718 Old River Road, Kingston Idaho 83839. (208) 682-9537. Chinook Farms is a 132-acre diversified farm in the fertile Snohomish River Valley. Our goal is to produce local, fresh organic produce, grass fed and finished beef, and pastured poultry to help sustain and support local agriculture. Our beef is available mostly in the fall months and occasionally during the rest of the year. Our Freedom Ranger chickens, also known as Red Rangers, are raised during the warmer months. They can be reserved by email or through our website with a $5.00 per bird deposit. We raise our cattle on pastures that are certified organic by WSDA. All their feed comes from the farm, mostly through rotational grazing and augmented with our own hay. We have also earned the Salmon Safe designation. We sell our beef by the 1/4, 1/2, or whole portions. We are able to ship our frozen beef to some parts of Alaska served by Alaska Marine Lines. We prefer payments by check or cash but do accept credit and debit cards* through Square (www.squareup.com). Chinook Farms, Eric Fritch, (425) 508-6341. Mailing address: 18507 Waverly Drive, Snohomish WA 98296. The Colvin Ranch, located in Western Washington, was homesteaded by the Colvin family over 150 years ago. We are committed to keeping the ranch in family while providing nutritious grass fed and grass finished beef for the local community. Our cattle are born and raised on the ranch so you can be confident of their humane care and healthy living conditions. We use managed intensive grazing programs that not only ensure the health of the animals, but the health of the land, water and native plants. The sustainable care of the land and animals is important to us, to our customers, and to the community. We sell our beef by the half or quarter, and we are now able to offer our Beef by the Box. This Box contains about 25-30 pounds of various cuts of steaks and roasts as well as ground meat and stew meat. Delivery can be arranged in the Olympia and Tacoma areas. Please contact us if you are interested in buying your beef supply. Colvin Ranch, 16816 Old Hiway 99 SE, Tenino WA 98589. (360) 264-2890. Crea Ranch Beefalo produces sustainably and humanely raised grass fed and finished Beefalo right here in Eastern Washington. We take great pride in raising our livestock as naturally and as sustainable as possible, and are dedicated to providing our animals the best care possible. All of our Beefalo are grass raised, as nature intended, on our ranch from birth to your table. No added antibiotics, grain, animal bi-products, silage, hormones or growth stimulants have been given to our Beefalo. What is Beefalo meat and why eat it? Beefalo is a cross between domestic cows and the North American bison. While it is as tender and tasty as beef, Beefalo offers many benefits for the health-conscious consumer. Buffalo meat is often favored for its leanness, and grass-fed beef has nutritional necessities like CLA and Omega-3 fats. Well, grass-fed beefalo might just be the best of both worlds: USDA tests prove that Beefalo has less cholesterol than chicken and less fat, cholesterol, and calories than traditional beef. Beefalo even meets the dietary recommendations of the American Heart Association, so consumers enjoy all the taste of beef with added health benefits. In addition, it is the only red meat shown to lower LDL. We sell our beefalo directly to the consumer by the quarter, half, or whole each fall and have sampler boxes and burger boxes available throughout the year. Crea Ranch Beefalo, Dana Camarena, P.O. Box 4208, West Richland, WA 99353. (509) 531-7233. Crown S Ranch is located in the majestic Methow Valley in the foothills of the North Cascade Mountains. It is one of the most pristine ecosystems left in America, just outside the tiny town of Winthrop, Washington. With 50 acres of lush pastureland that for the last 36 years has never been treated by pesticides or chemicals, it is the perfect environment for raising happy, healthy, grass-fed beef and pastured pigs, chickens and turkeys. The Sukovaty family strives to provide meat products raised as nature intended: Without hormones, steroids, GMO feeds. Our cattle are raised with an abundance of lush green grass on a dozen plus rotated pastures, with plenty of clean water, sunshine and fresh air. We are proud of the high quality products we are able to provide our customers. Our farming practices are sustainable, our beef is entirely grass-fed and our other livestock is supplied as much pasture as they will eat and supplemented with organically certified feed. We go to the extra trouble of raising our animals in this way because it is better for them, better for the environment and better for you. We sell our beef as custom exempt by the quarter. We can assist with custom slaughter arrangements and delivery requirements. Come see our web page for more information. See our webpage or contact us for purchase of pork, chicken and turkeys. Crown S Ranch, Louis Sukovaty and Jennifer Argraves, Box 309, Winthrop WA 98862. (509) 341-4144. E-mail: crownsranch@gmail.com. Website: www.crown-s-ranch.com. Facebook: Crown S Ranch. Dirty Boots Ranch, located 30 minutes North of Spokane, provides grass-fed Berkshire pigs and Finnsheep lamb. All are raised using organic practices but we are not certified. Our Berkshire pigs come from premier Iowa stock and consistently produce healthy piglets. Our boars and sows live on the Ranch with their piglets. They are pasture and woodland raised and receive non-GMO feed. We occasionally have breeder stock available. The Finnsheep are grass fed and receive hay that we produce at the Ranch. They live with their guardian Alpacas and Great Pyrenees dog named Freya. Our animals are reared without antibiotics or hormones, live outdoors with shelters during inclement weather, and are allowed to have the most natural lives possible. We are a family farm and a portion of the proceeds go to our children's college funds. Meat is sold in halves and whole. Delivery to Seattle area possible. Please visit our website or contact Amy directly at (509) 238.5187. Dirty Boots Ranch, Amy and Kurt Monsen, 27912 N Elk Chattaroy Road, Chattaroy, WA 99003. (509) 238.5187. Douglas Farms is a family farm located outside Yakima in Central Washington. We raise grassfed cattle and sheep, and grainfed pigs supplemented with pasture. We do not use any hormones, routine antibiotics, or artificial feed ingredients. Being environmentally responsible is important to us; we know we share this world with others and it would be short sighted to do otherwise. We especially appreciate the health benefits associated with eating grass fed meat and are blessed to be able to supply this to others. Grassfed beef is available in whole, halves, or split halves. Lamb and pork is sold as whole or halves. The meat is cut and wrapped locally according to personal preference. It is generally available May through November, but we take orders year-round. Please contact us with questions or if you are interested in our grassfed beef, lamb, or pork. Douglas Farms, Nate and Tabi Douglas, 261 W Taylor Road, Selah WA 98942. (509) 698-6393. Earth Cycle Farm is committed to the sustainability of the ecosystem and its communities. We maintain grazing rotations that improve the health of the land while preventing soil erosion from wind and water. Our very lean beef is raised only on our own certified organic fields and pastures. Our cattle move from one lush pasture to the next throughout the growing season, and then eat our organic grass and alfalfa hay during the winter. They are not "fattened-up" with large amounts of grain or feed supplements. Rather than depend on additives and medicines, we rely on prime pastures and plenty of fresh air and sunshine to keep them healthy. Most of our butchering is done in summer and fall, when the cattle are on green pastures. The result is a lean, flavorful meat with minimal fat and no chemical additives. Your satisfaction is our goal, so we back up our beef with a money-back guarantee. Seth Williams at (509) 236-2402, offers custom cut and wrap on a fourth, half, or whole beef. Quadra-k Meats, a few minutes from downtown Spokane, does a great job preparing your beef. They are very busy, so please call us early to schedule your order. After butchering, you beef is aged about a week, then cut, wrapped and frozen. You can pick it up the following day. Remember to bring some boxes or coolers to save money and cardboard. Ground beef, milk, farmers cheese, and other Earthcycle farm products are available year round to Earthcycle food club members. Earth Cycle Farm Celtic-Cross heifers and cows are a specialty breed that produces high-quality pasture-finished beef high in Omega-3s. For more information, please visit our websites or call us at the number below. Earth Cycle Farm, Huw Williams, 52721 Sobek Road East, Edwall, WA 99008. (509) 236-2265. or learn more about us at http://earthcycle.wordpress.com or http://360.yahoo.com/julialuvsearth. Evergreen Students for Sustainable Animal Agriculture raises ewes and lambs that are on grass pasture their whole lives. We manage our pastures with intense rotational grazing and supplement with locally grown grass silage when needed. The flock is managed by Students from the Evergreen State College who are interested in animal agriculture. This educational opportunity and sharing of animal husbandry knowledge is critical to the sustainability of agriculture. Animal welfare is our top priority. We emphasize stress free handling and do not dock tails. We use preventative health care management to minimize disease. Details for ordering and additional information can be found on our website. Please feel free to e-mail us with any questions about our operation, our e-mail address can be found on our website. Evergreen Students for Sustainable Agriculture, Mike Paros, 9222 Lundeen Road SW, Centralia WA 98531. The Faded Rose Ranch is located on Puget Island, on the banks of the Columbia River, across the bridge from Cathlamet, WA and accessible via ferry from Westport, OR. The ranch is within a scenic drive from both Seattle, WA and Portland, OR areas. This one-man and two-dog sheep and cattle operation offers all-natural, grass-fed freezer lamb and beef by the whole or half. All animals are bred, born, and raised here. Grass/hay, clean water, plus mother’s milk make up the diet of our livestock. Our happy animals are raised in a stress-free and humane environment. We are not certified organic but we try. No hormones, supplements or antibiotics are ever used. The delicate flavored lamb of a Katahdin hair heritage breed ewe will be a welcome addition to your diet. We look forward to telling you why. Our beef comes from Irish Dexter cows usually crossed with Black Angus to give the finest flavor and a size that will fit in your freezer. Delivery to a local butcher is included in the sale. Delivery to your location may be possible. Product is available in the fall and can be made available other times of year if prior arrangements are made. It does help the shepherd's planning if indications of product interest could be made as far as possible in advance of your need. Come visit, bring a kayak and enjoy the river. We are proud of how we raise our animals and we are proud of the quality, taste and safety of our products. We look forward to feeding you soon! The Faded Rose, Mike McAvoy, 130 E Little Island Road, PO Box 313, Cathlamet WA 98612. (360) 849-0030. Forest Cattle is a family owned and operated ranch started in 1981 in the Snohomish River Valley. For almost 30 years we have raised our own herd of 100% grass fed/grass finished Red Angus beef cattle. We strive to provide you with only the highest quality beef for your table. Forest Cattle Company uses only the best organic and environmentally friendly practices. Our cattle never receive antibiotics or hormones and each animal is individually tagged and tracked to ensure the health of the animal and the herd. The cattle are humanely raised, free to roam and graze on our sustainable pasture rotation system. This ensures the cattle ingest the most lush and nutrient rich grasses available, for a stress-free and healthy lifestyle. We believe "Nature's Way is Best": better for the cattle, better for the environment, and better for you and your family. Our old style dry aged Red Angus beef is sold by the quarter, half or whole animal. Due to high demand we have expanded our ranching operation to the Snoqualmie Valley near Duvall and Skagit County near Sedro Woolley. We strive to have beef available year-round, however we recommend ordering as far in advance as possible to insure timely delivery. We have ground beef in 1-pound packages and boxes of ground beef patties for sale as well. Our goal is to produce beef of the highest quality, that we would be proud to serve to our own family and friends. We would enjoy nothing more than to share the best beef available with you at an affordable cost. From our family to yours. We look forward to hearing from you and answering any questions you may have. Please check us out at our website. Thank you for supporting your local ranching families. Forest Cattle Company, David Steele, PO Box 1083, Snohomish WA 98290. (425) 359-0594. Grass Fed Beef – J. Hutton is a fourth generation beef operation on the southeast side of the Cascade Mountains in Washington State. Joann started in the business at 6 years of age with her first calf, raised market steers for her 4-H project for 9 years and still has some of the same blood line in present herd. The cattle are Horned Herefords, with a few crossed with Shorthorn and Angus. Joann keeps only her own heifers for replacements and buys only the bull. This way Joann knows the cattle have never been fed grains, given hormones or growth-promoting additives, pesticides, antibiotics, or any other drugs. Grass Fed Beef – J. Hutton is Animal Welfare Approved. Grass Fed Beef – J. Hutton, Ellensburg WA 98926. (509) 968-4610. GrassKickin' Farms grows and sells Beef, Pork, and Poultry using management intensive rotational grazing techniques along with Joel Salatin-style, poly-culture pasture-based farming methods. Although we are not yet certified organic, we practice organic farmland management. We are passionate about growing high quality PasturePickin' Protein! GrassKickin' Farms is owned by the McGuffin family of five, and as a family we are constantly learning the art of pasture-based farming together as a work in progress. We farm on 50 acres located in Camas, WA near the Columbia River and Portland, OR...just 15 minutes from PDX. As a fit farmin' family, we subscribe to the Paleo / Primal diet of High Quality PasturePickin' Protein, and the Westin Price teachings of the nutritional benefits of eating the Whole Animal...and many of our GK customers do, too! • GrassKickin' Mixed Bundles (10–20 lbs) of Beef, Pork and Poultry...usually 1–2 grocery bags. • GrassKickin' Spice Packs made from High Quality Spices for Special Seasonings, Brines & Rubs... w/o fillers, sugars, gluten, nitrates, etc. All of our GK Beef and Pork is processed at an Animal Welfare Approved USDA Inspected abattoir. All of our GK Poultry is processed humanely at a state-inspected (USDA Exempt) poultry abattoir. GK Customers can pickup from the farm, or we offer Free Delivery direct to you locally and have drop locations. GK Customers typically order Bundles every 3–6 weeks. We can ship with dry ice for special orders. Check out our website for current pricing and availability. We are also at the Camas Farmers Market on Wednesdays from 3-7pm, June 13–October 10, 2013. GrassKickin' Farms, Shane and Melissa McGuffin, 24108 NE Weakly Road, Camas WA 98607. (360) 600-8854. Growing Things offers year round pastured certified organic eggs and seasonal broiler chickens. We provide vegetables and eggs through our CSA and at Seattle Farmer's Markets. Broilers are by order only. Pastured pork is available. Growing Things, Michaele Blakely, Carnation, WA 98014. Happy Hollow Farm is a second generation farm located on the foothills overlooking the Stillaguamish Valley, one hour's drive north of Seattle. Our beef is born and raised in a non-stress environment on our 80 acres of grassland. The calves spend their first year of life at their mothers' sides. Our animals are fed no hormones, grain or antibiotics. Supplemental winter feed is grass hay harvested from our farm or the Silvana community. They are placed on lush grass at the end of the winter, rotated among our pastures throughout the summer, and are ready to butcher in the fall. We sells quarters, halves or whole packages, and also have lean ground beef available in one pound packages. The meat will be cut to your specifications by Silvana Meats in Silvana, WA. Call for current prices and to reserve your order. We are committed to sustainable farm practices, environmental responsibility, caring animal welfare, and maintaining foods grown on our farm, including fruits, vegetables, chickens, apple cider, etc. We sell grass hay harvested from our farm and also offer wagon and carriage rides with our team of Belgian horses for weddings, parties, and events. Happy Hollow Farm, Mark Winterhalter and Cathy Nelson, 21729 50th Avenue NW, Stanwood WA. (360) 652-9132. Hardgrass Beef is our family's farm in Lostine, Oregon. Providing families 100% Organic (USDA-certified) Grass fed, Nutrient Rich, Dry-Aged, Scottish Highland Beef. Our farming philosophy is simple: Combine the best breed of cattle with the optimal environment and stewardship of the land, followed with humane care and respect for the animals to create the best nutrient rich beef from our family to yours! 100% USDA certified Organic, Grassfed. No Antibiotics, No Herbicides, No Pesticides, No Hormones. Purchase our meat online. All meat is USDA inspected. All meat is humanely harvested, dry-aged, artisan butchered then flash frozen and cryo-vacuumed packaged. We offer our beef for sale as ground beef, premium steaks, quarters, halves and whole beef options. To purchase our meat or learn more about our family farm, please visit our website or give a call. Hardgrass Beef, LLC., Getty Pollard, 69602 Warnock Road, Lostine OR 97857. (541) 263-1545 or (888) 333-9812. Harlow's Hills West Coast (Portland, OR Metro Area) provides locally grown, grass fed, natural lambs. Our lambs are NEVER fed grain and are bred to be hearty and healthy on Natural, Native Grass. You will taste the difference the first time and come back for more. We have lambs ready now. Please contact us today to reserve your lamb. Harlow's Hills West Coast, Owner/Operator: Eric JT Harlow, 611 NE Hughes Road, Washougal WA 98671. (360) 837-3606. Hoh Humm Ranch has been in my family for three generations. My grandmother started ranching on the Hoh River in 1913. We have always raised both cattle and sheep in the same manner on the ranch. The animals on Hoh Humm are pasture-raised and are left with their mothers. In the winter, they are fed hay that we raise ourselves. The cattle are sold in late fall and early winter while the lambs are sold from summer through late fall. We sell the beef, custom-cut, freezer-wrapped and delivered in the Puget Sound area for $5.00 a pound. There is a 50-pound minimum on the order. Hoh Humm Ranch, Cici Wilson, 1909 28th Street SE, Auburn WA 98002. (253) 804-3364. Holy Cow Grassfed Beef / Moses Farm is very proud to be awarded 2012 Farmer of the Year by the Greater Wapato Area Chamber of Commerce. In 2011 we were awarded Top Animal Welfare Certification by Animal Welfare Approved. Our animals are free-range and we practice American Grassfed approved methods on the farm. We are breeders, growers, and USDA certified organic producers. We are inspected for our health and safety rules. Our endorsements tell you we do it right. We farm 128 acres of organic grass hay, breeding over 100 cows and their calves in a closed herd. The beef we sell has been bred, born, raised and finished on the highest quality irrigated organic grass pastures. Holy Cow is passionate about providing customers with the healthiest, safest and best quality 100% natural organic grass fed beef on the planet. We have a high vigor breeding program using two breeds exclusively: Angus and Limousin. The result is known for the excellent marbling and longer loin muscle, resulting in the highest quality organic grass fed beef. Beef is available year-round and can be picked up at the farm in the Lower Yakima Valley or we have two low-cost delivery options: 1) We make regular deliveries to pick-up spots in the Seattle, Portland, and Vancouver metro areas; and 2) We have our own refrigerated truck and can deliver quarters, halves or wholes to San Francisco and Sacramento in California, or to Portland, Oregon. We offer great taste at a great price. Visit the Holy Cow Grassfed Beef website for order information and to learn more about the farm. Holy Cow Natural Grassfed Beef, Janelle Moses, Wapato WA 98951. (509) 848-2598 or (509) 985-9457. Home Acres Farms raises chickens, pigs, turkeys and a small number of lambs on pasture. We cater to people who want to know where their food comes from. We sell animals live at the farm gate, half or whole. We also offer classes on processing chickens and turkeys several times a year. Home Acres Farms, Bruce King, 1905 55th Avenue SE, Everett WA 98205. (206) 940-4980. Hope Springs Ranch produces naturally raised, grass fed beef. Our cattle are born and raised on the farm so we are able to manage all aspects of their care and maintain a stress free atmosphere. Our livestock are given no added hormones, antibiotics, or animal by products. Our herd knows us as friends and lives a stress free life. Your beef will be tender, flavorful and cut to your specification. Order by the 1/4, 1/2, or whole by contacting us at one of the numbers below. Delivery to Skagit, Snohomish and North King County can be arranged for larger orders. Hope Spring Ranch, Janet & Kirk Jayne, 8819 182nd St NE, Arlington WA 98223. (360) 435-6150. At Hungry Hollow Farm we believe animals belong in fields, not factories, and our mission is to help the Puget Sound region become #FactoryFarmFree. Established in 1889, we are a 4th generation family farm raising slow-growing chickens, eggs, heritage turkeys, Berkshire pigs (pork), and beef cattle on pastures within 50 miles of Seattle. We also produce local raw honey and carry locally-made cold process soap. Our cattle are 100% grass-fed. Our chickens, turkeys and pigs receive grains that are free of chemicals, GMOs, and soy. All animals are slaughtered humanely on-farm. Pickup locations available throughout the Puget Sound region. Hungry Hollow Farm, Grant Jones, 2490 E Pickering Road, Shelton WA 98584. (360) 207-1541. Kelly Hill is a family ranch located in the Selkirk mountains of NE Washington state. We raise Corriente beef and mild-flavored mountain lamb, grass fed, plus nothing but pure water, clean air and our family's constant care on our mountain pastures. Corriente beef is listed on the ark of taste. Its flavor is reminiscent of elk—lean and tender and our lamb mild and succulent. USDA, and state certified. Whole or cuts. Shipped frozen overnight. Kelly Hill Ranch, T and Pete Yamamoto, 2556 Gilmore Road, Kettle Falls, WA 99141. (509) 738-4188. Kindred Family Farm offers a wide variety of pasture-raised meats including pork, beef, and chicken. Our animals graze on a cornucopia of plants and grasses growing on the property. Our pigs and chickens also consume non-genetically modified animal feed that we grind ourselves, which consists of peas, oats, barely, wheat and organic supplements such as nutri-balancer, molasses, oyster shell, salt, kelp and diatomaceous earth. Our animals have access to fresh springs and ponds on our property and are free to live how they >were created to in the open air, rather than in cramped quarters. We do not use hormones or antibiotics on our animals. We put emphasis on raising quality meats as healthy alternatives for people looking for food that will sustain and fortify their bodies and satisfy their taste buds as well. Our desire is to provide our customers with healthy and humanely raised animal products that they can trust and enjoy! We hope that you will take the opportunity to try our products for yourselves. As we raise our animals we trust that they will put smiles on faces around tables all over the country from Kindred Family Farm to yours. Please visit our website for details on specific meats, cuts, pricing and availability or email us at adoptiongospel@gmail.com. Kindred Family Farm, Mickey Kindred, 424 Cedar Creek Road, Kooskia, ID 83539. (208) 926-0097. L & B Mini Ranch produces ethically raised, natural, pastured pork. Our pork is USDA processed and packaged for both retail sales as well as larger primal cuts that are ideal for catering, restaurants, home smoking or large events. Our pigs are raised stress free on open pastures with large loafing sheds to get out of the weather. We farrow our sows in large farrowing stalls, babies are weaned at 6 weeks old and are always hormone- and antibiotic-free. We feed a natural grain product to supplement pasture feed. We offer a lot of variety of cuts and sausage flavors including Bratwurst. L & B Mini Ranch, Lisa Smith, 45326 196th Avenue SE, Enumclaw, WA 98022. (206) 293-5391. Lazy R Ranch is a fourth generation beef operation that has been managed holistically since 1996. Holistic management is a goal-driven decision making process that insures that decisions are economically, environmentally, and socially appropriate. I use planned grazing, as prescribed by holistic management, that puts animals at the right place, at the right time, for the right reasons. This allows me to exceed traditional organic and sustainable practices and move towards regenerative agriculture. Our all natural beef is available in halves, quarters, or whole beef in the late fall or early winter. Lazy R Ranch, Beth Robinette, S 16102 Wolfe Road, Cheney WA 99004. (509) 990-4247. Lopez Island Farm is located in the San Juan Islands of the Pacific Northwest and is blessed with a climate that is perfect for raising grass-fed livestock. Even in the middle of winter, some days are warm enough for the grass to grow. My sheep are on pasture all year and lambing is timed to take advantage of the spring flush of grass. My lamb is produced without antibiotics or hormones and finished on grass in the spring and fall. The breeds I use were developed to finish on grass and are lean with a delicate flavor. My pasture raised pigs live outside where they can forage and root to their hearts' content. In addition to the health and nutritional benefits from pasture grazing, they just plain enjoy digging. Happy pigs are healthy pigs and mine do not need antibiotics or hormones. Lamb and pork are available in our retail store at the farm on Lopez Island, Lopez Farmers Market, Proctor Farmers Market in Tacoma and by special arrangement. We deliver regularly to customers in Seattle, Bainbridge Island and Tacoma. Lopez Island Farm, 193 Cross Road, Lopez Island WA 98261. (360) 468-4620. Lostine Cattle Company employs the same sustainable, estate wine-growing philosophies as Leonetti Cellar and FIGGINS, the other Figgins Family Wine Estate brands, and applies them to the growing and harvesting of Scottish Highland Beef Cattle. Raised in the pristine Wallowa Valley in Eastern Oregon, the cows are allowed to graze freely for their entire life on a superb grass mixture in an Oregon Tilth certified organic, biologically-farmed pasture. The cattle are never fed hormones or antibiotics, and as a final treat, they sometimes enjoy Pommace (pressed out grape skins) from our estate wineries. We humanely harvest at a natural maturity age of 28–36 months, which intensifies flavor and quality of the beef. The beef is then dry aged for up to 28 days prior to being processed by our artisanal butcher. The meat is then cryovac packaged and immediately frozen. Lostine Cattle Company strives to produce the most sustainable, finest quality beef available anywhere. We offer a combination of premium cuts such as steaks, along with roasts and other popular & classic cuts as a part of our quarter, half and whole beef program. For more information about purchasing Lostine Cattle Company beef, please visit our website. To purchase a quarter, half or whole beef please call us directly at 1-877-581-9618. We offer delivery to Seattle, Portland, Tri Cities, and Spokane as well as split shipping options if freezer space is a concern. Lostine Cattle Company, Carlye Knowles, PO Box 604, Walla Walla WA 99362. (877) 581-9618. Lowell Road Farms in Snohomish, Washington is proud to offer Grass Fed Angus Beef, born and raised on our farm in the beautiful Snohomish Valley and free of hormones, GMOs, animal by products, synthetic chemicals, etc. We pride ourselves on providing humane and loving care to each animal. A clean and stress-free environment ensures that our cattle lead a content life and develop into an outstanding beef product. We charge by the pound, hanging weight. There is an additional fee to cut and wrap as well as a fee for the humane farm harvest by a local meat cutter. The beef is then aged and cut and wrapped locally as per your specifications. Beef is available by the whole or half with a $100 deposit due prior to harvest. Beef is also available for live delivery – on the hoof. Delivery charges are based on distance. Call for pricing. We are happy to answer any questions you may have. We harvest in the fall and sold out last year. Call soon to reserve yours! Lowell Road Farms, Randy Forman, 805 80th Street SW, Everett WA 98203. (425) 308-1309. Maple K Farms was established in 1936 in the lush rolling hills of the Palouse. We provide natural grass fed/grass finished beef from Highland cattle. Their meat is known for its lean, healthy attributes as well as the rich robust flavor. We are committed to sustainable farming practices which include environmental responsibility, animal welfare, and maintaining locally grown foods for our community. Our cattle are raised on lush pastures with abundant cool clear water, the way nature intended. The cattle receive a tag at birth and records are kept on their health and well being from birth to harvest. It has been said that they only have "one bad moment" in their lives. Our Highland beef is available in the fall of the year by the 1/4, 1/2 or a whole beef. It is dry aged for 7–10 days, then cut, wrapped and frozen to your specifications by a state-certified meat cutting establishment. We invite our potential customers to come tour our farm to prove that we walk the talk. Our naturally grown grass fed/grass finished Highland beef is strictly available from the farm. Call or email to order. Maple K Farms LLC, Tom and Cheryl Kammerzell, 1102 Kammerzell Road, Colfax WA 99111. (509) 397-4589. McFarland Creek Lamb Ranch is a small farm located in the Methow Valley in North Central Washington State. The year-round creek is used to provide abundant water for pasture, fruit trees and a small garden. We maintain a small flock of Romney and Romney/Cormo cross sheep that feed on lush pasture in the summer months, and local hay in the winter. The wool is used to make naturally dyed yarn, and we select the best lambs for direct market meat sales. Our philosophy is to practice sustainability and use our resources in the most efficient and responsible way possible. Our lambs nurse on their mothers until they are naturally weaned, and are harvested on site by us, so the stress is minimal. We maintain secure fencing and have guardian dogs to protect the flock from predators so that we can live in harmony with our surroundings. McFarland Creek Lamb Ranch, Katie Haven, PO Box 510, Methow, WA 98834. (509) 923-1916. Misty Meadows Farm offers certified organic eggs, u-cut Christmas trees, angora wool, Romney wool, lamb, chicken, turkeys and pork locally and in season. Currently, our certified organic eggs are available by subscription or individually from the farm in Everson, WA. We had our eggs tested at a nutritional testing lab as part of a study on pasture raised eggs. Our eggs have 1/2 the cholesterol, 5 times the vitamin E, nearly 20 times the folate, and over 12 times the Omega 3 of factory farmed eggs. Check out our web site for the complete details of this study and other research projects. Our children are raising wool animals for 4-H projects. Our daughter has a flock of Romney sheep and has wool available on the farm website. Our son is raising French Angora and German (Giant) Angora rabbits for wool production. He is the first to receive organic certification from the WSDA for angora wool. Our website has a current list of wool products available. All proceeds from wool sales go directly to the 4-H child responsible for raising the animals. In the spring, we take orders for pasture-raised lamb, chicken, turkey and pork. Our web site will have ordering information when these items are available. In December, we open our farm for u-cut organic Christmas trees. We were the first farm in Washington State to receive organic certification for Christmas trees. For more information about any aspect of our farm or current availability of farm products, please see our website. Misty Meadows Farm, Mark and Melissa Moeller, 6197 Everson Goshen Road, Everson WA 98247. (360) 312-3554. Moir Country Farm raises pastured poultry, meat goats, pigs, hay and beef on our farm located just south Chehalis, WA. To date, we have raised mainly Cornish cross chickens. We are also experimenting with other breeds such as Red Ranger and Turken (naked neck chickens). Our chickens are started indoors and then moved outside to pastures at about 3 weeks of age or when weather allows. They are fed certified organic feed. Our pastures are not certified organic, but the only fertilizer is from our beef herd and from neighboring dairies and chickens. The birds are at least 10 weeks of age at harvest. The target is to harvest at 5 pounds, but sizes have ranged from 3 pounds to 13 pounds. We are WSDA inspected. Poultry is sold fresh from the farm at time of harvest. Frozen chickens are available as long as supply lasts. We are also developing markets to make our products available at grocery stores and local meat markets. We harvest approximately once per month from July-October. Call to find out the next harvest and place your order. In 2010, we purchased the neighboring farm and are growing our beef herd, as well as raising meat goats, grass hay and market hogs. Our goats kid in March and have whethers available from mid summer through fall. We have a limited number of pigs that will be available for sale by the half this fall. Call now to place an order. In the future, we will have grass beef for sale. Grass hay is for sale year around. Moir Country Farm is easily accessed from I-5 being just 2 miles east of exit 74. Delivery is available to the Olympia area. Moir Country Farm, Donna Moir, 215 Macomber Road, Chehalis WA 98532. (360) 748-4517. Mt. Capra is a small, family-run farm in the Pacific Northwest which, for nearly a century, has been producing premium whole foods and nutritional products from goat milk. Our farm is located in Centralia, WA and our storefront can be found in the neighboring town of Chehalis, WA. We offer pastured eggs, apple cider vinegar, clarified goat milk butter (ghee), goat milk powder and various powdered goat milk products such as protein, minerals, lactose, cream, and yogurt. Note: Our goats do receive about a handful each of non-gmo grain that we use to get them to come into the parlor; otherwise they are grain-free. Mt. Capra, Joe Stout, 20625 O'Connor Road SE, Centralia, WA 98531. Address to farmstore: 448 N. Market Blvd, Chehalis, WA 98532. (360) 748-4224. Ramsden Ranch provides Mountain Beef. Our cattle are grazed in balance with nature's law. They forage year-round and we feed no hay. That is wild. Our beef is sold in halves and wholes. See website for details. Our goals are to provide wholesome, healthful meat and to promote a pastoral grazing system that will inherently advance the management of our natural resources, thus becoming a sustainable ranch and a home where our children can grow. Ultimately we strive to benefit the land, community and our own family through thoughtful and caring stewardship. Our ranch is situated on the border between Washington and Oregon. In 2013 we will be selling our beef at the Edmonds, Washington Farmers Market, Saturdays, 9am-3pm, from June 29 to October 5. Ramsden Ranch Mountain Beef, Mark and Amy Ramsden, 68340 Warnock Road, Lostine OR 97857. (541) 263-1515. Natural Fine Lamb Company sells natural gourmet lamb by the cut or case. USDA approved processing. National shipping or ranch pickup. Natural Fine Lamb Company, Eric JT Harlow, 67794 Highway 395 South, Pendleton OR 97801. (360) 837-3606. The Nelson Ranch has been providing quality meat to our community for 150 years. We raise All-Natural grass fed cattle free of additives, chemicals, antibiotics, and growth hormones. All of our cattle are born on the prairies of South Thurston County in the spring and range free on our acreage. Since all our animals are born on the farm, you are assured of the source and safety of your beef. We believe in being responsible stewards of the land and using sustainable, humane methods. Therefore, we do "rotational grazing" which not only allows us to maintain healthy pastures but also allows our cattle to graze on the most nutrient rich part of the grass. Since we are on the banks of the Deschutes River, the yearly flooding of our fields ensures an endless supply of natural minerals and nutrient rich soil. We then feed the cattle the hay during the winter months. Our family-owned farm is about ten miles south of Olympia and one of the oldest ranches in the county still owned by the original family. We have dedicated ourselves to providing our customers with the most wholesome, best tasting beef available. We are committed to sustainable farming practices and providing our community with a locally grown, quality product. This has been a tradition in the family for five generations and we hope that you enjoy it too. You can buy individual cuts, a quarter, or a half of beef. Buyers who purchase a quarter will receive approximately 150 pounds of beef—a mixture of steaks, hamburger, roasts, and stew meat. We are happy to give farm tours for people interested in our methods and products. Please call or e-mail first to be sure we are home. Please visit our website for current prices and ordering information. Nelson Ranch, Jill Nelson, 3624 Waldrick Road SE, Olympia WA 98501. (360) 352-4124. Our farm is certified organic, but our raison d'etre is to produce truly flavorful food, sustainably. Nettles Farm, Riley Starks, 4300 Matia View Drive, Lummi Island WA 98262. (360) 758-7814. Northwest Wild Foods specializes in providing customers with all natural, wild berries handpicked in the mountains of the great Pacific Northwest. We have Frozen Wild Blue Huckleberries, Wild Red Huckleberries, Wild Blueberries and our famous Little Wild Blackberries. All our special berries are harvested in the wild, cleaned, individually quick frozen and packaged to meet customer’s needs using no additives. These unique berries are great tasting, high in antioxidants and healthy. We also have a line of Jams, Syrups, Honeys and gift packs made all naturally with our wild berries. We have our retail site on the internet at www.nwwildfoods.com and we also sell wholesale, simply contact us at (866) 945-3232. We ship via UPS ground, 2nd day air or overnight. For larger orders we ship with Sorensen Trucking FOB from Bellingham, WA. 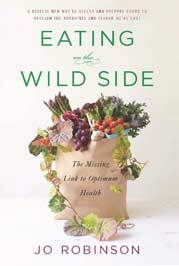 Northwest Wild Foods, Thomas LaMonte, PO Box 855, Burlington WA 98233. (866) 945-3232. Oak Meadows Farm is a small-scale, pasture-based, diversified livestock farm. We are centrally located between Bellingham, Ferndale, and Lynden, Washington. Our main focus is pastured poultry including broiler chickens, layers, and turkeys. Our poultry are rotated daily to fresh grass in movable shelters (chicken tractors). The shelters provide protection from the sun and rain as well as keeping predators out and chicks protected while allowing plenty of fresh air to flow through the tractors. Natural instinct and behavior are evident in our chickens and turkeys. They love foraging in pastures, always looking for natural sunlight and fresh air, as well as ground scratching and dust bathing. In addition to what they eat from the pasture, they are supplemented with non-GMO, corn- and soy-free feed produced by Red Bridge Farm in Colville, Washington, which sources all their grains from local farmers. We raise Freedom Ranger broilers, Cornish Cross broilers and broad breasted turkeys. Our broilers are available whole as well as cut up into breasts, leg quarters, wings, and backs. Hearts, livers, necks, and feet are also available. You can buy our products directly from us on our farm or at multiple local retailers. A list of the retailers and restaurant that use our products is available on our website. Oak Meadows Farm, David Whittaker, 6285 Noble Oaks Lane, Ferndale, WA 98248. (360) 384-6005. On The Lamb Farm is a small, family-run farm in Arlington, Washington. We offer grass-fed lamb and beef. Our animals are custom cut and wrapped to your specifications by a popular local licensed butcher. Our animals are strictly grass-fed and pasture-raised to provide you with the healthiest meat possible. Lamb is available in early fall, and we sell it as a whole animal. Lamb is in high demand and often sells out several months in advance. Beef is available from spring to early winter. We sell beef by the half-side (quarter), side, or whole animal. We are located close to Seattle, making pickup easy for our Seattle area customers. On the Lamb Farm, 10915 Moran Road, Arlington WA 98223. (360) 435-9078. One Straw Ranch. Pork – Beef – Lamb – Eggs – Romney Wool Yarn and Fiber Products. Pasture Raised – GMO Free – Honestly Good! One Straw Ranch is a small family farm raising animals on pasture in the Port Townsend, Washington area. We are committed to raising our animals GMO-free and as naturally as possible, without any additional hormones or unnecessary medications, to produce delicious, wholesome food for you and your family. Our beef and lamb is 100% grassfed – they never receive grain and are finished on high quality alfalfa hay for superior marbling and flavor. Our pigs are pasture raised and fed local non-GMO grain, organic supplements, and whey from a local creamery. In the winter they are kept in a deep bedded greenhouse and given free choice alfalfa hay to prevent damage to the pasture and soil. Our chickens are raised in the same manner as our pigs and give us a colorful array of delicious eggs. Our USDA certified beef, pork, and lamb are available by-the-cut at the Port Townsend Saturday Farmers Market (April – December), through our Winter Delivery Sunday Drop-off in Port Townsend (January – March), and on the farm on Marrowstone Island (year round by appointment). Our eggs and fiber products from our Romney sheep are also available through these outlets. We currently offer 25-pound bundle deals on beef, pork, or a combination of both – a great value to fit in a small freezer. We offer custom beef (whole, half, or quarter) and pork (whole or half) that you order to your specifications and pick up yourself at the butcher. Check out our website or contact us directly for more specific details on acquiring delicious, wholesome, ethically raised food for your family! One Straw Ranch, Charlotte Frederickson, PO Box 1012, Chimacum, WA 98325. (360) 531-0404. Oyster Bay Farm offers lamb from animals that were fed small amounts of grain. It is available in the fall "just as the rains are making our pasture too wet for grazing." Lamb is available as whole or half carcasses. Most lambs dress out to a hanging weight of 50 pounds. You pick up your packaged, frozen lamb at the butchers when they call and tell you it's ready. Typical cost for a lamb with a hanging weight of 50 pounds is about $250. This price includes custom slaughter, cut, wrap, and freezing, to buyer's specifications. Larger lambs, smaller lambs, and halves cost proportionally. Oyster Bay Farm, Pat Lubine, 4931 Oyster Bay Road NW, Olympia WA 98502. (360) 866-9424. Palouse Pastured Poultry, located just 30 miles south of Spokane, is a small family-owned farm in the heart of the Palouse country in eastern Washington. It is an area renowned for its rolling hills and grain production. We specialize in raising all natural pastured poultry, including USDA certified-organic, free-range broiler chickens and turkeys; grass-fed, free range chicken pullets and eggs, and duck eggs. You can call us directly to place an order, or visit us at the Spokane Farmers Market, Saturdays and Wednesdays, 8am–1pm, or the Kootenai County Farmers Market, Saturdays, 8am–1pm; both markets run May–October. Palouse Pastured Poultry, Allen Widman, 4 West Babb Road, Rosalia WA 99170. (509) 523-4833. PnD Organic Beef brings you the highest quality 100% USDA Certified Organic Pasture-fed Angus Beef. Our farm is located in beautiful Lewis County, and has been in the family for 44 years, seven of those being certified by Washington State. Every animal except our bull has been born and raised here, out with their mothers on our lush, green fields. Our animals are 100% pasture-fed. Even when inclement weather forces us to house them, they are only fed premium silage and hay from our own fields. We use no antibiotics, hormones, or any other non-approved feeds, resulting in tender, scrumptious meat that is not only good for you, but safe for your loved ones. Not all organic beef is pasture-fed, and not all pasture-fed beef is Certified Organic. We have the best of both worlds!! Pasture-fed means our animals are fed no grains that are difficult for the animal to digest, and can lead to illness. Eating a diet that comes naturally puts less stress on the individual animal and it is stronger and healthier. For more detailed information, please visit our site. Certified Organic means that we are inspected once a year, and keep extensive records on all of our animals and farming practices. We use absolutely no pesticides, herbicides, or chemical fertilizers that damage the soil and everything around it. We also have an agreement with the county to not spray our ditches, eliminating any outside contamination. “Natural” and non-certified pasture-fed farms are not required to follow these practices. Certified Organic Pasture-fed Angus Beef is indeed the best choice for the animal, your family, and the environment! Please call or visit anytime. We sell quarter, halves, and whole beef. PnD Organic Beef dba Business Enterprises Unlimited, Inc., Paul and Dalene Olson, 282 Kirkland Road, Chehalis WA 98532. (360) 748-7873. Pond's Pierre Lake Valley Ranch is owned and operated by Gene and Sharon Pond and located in the timbered mountains of Northeast Washington, 100 miles north of Spokane. Settled by Gene's father shortly after his discharge from the military following World War I, this operation is rich in heritage and will soon be a Century Farm. The ranch consists of 400 acres of deeded land and approximately 5000 acres of leased mountain rangeland. We are in complete disagreement with the trend of emphasizing more production through chemicals and hybridization techniques. Both our cowherd and the grazing lands remain free from the influence of modern agriculture as an all-natural, grassfed business. Though Gene and his father tried using fertilizers on a limited scale after they first became available, the land that was fertilized has been chemical-free for decades. The hay that we feed during the winter snow season is also grown without chemicals. The cowherd retains its uniqueness by keeping its roots in genetics as purebred Herefords sourced from the 1960s and early 1970s. Emphasis has long been placed on having animals that will benefit and improve the land. The combination of environment and genetics blend to create a healthy and flavorful product. Farm-slaughtered, preordered beef product is available in the late summer through fall, with one half of a beef required as a minimum purchase. Select USDA inspected cuts and specialty items, such as jerky and sausages, are available throughout the year. Call for current prices and specials. All orders are filled FOB at Chewelah, WA and complete satisfaction is guaranteed. Pond's Pierre Lake Valley Ranch, Gene and Sharon Pond, 2791 Pierre Lake Road, Kettle Falls WA 99141. (509) 738-6182. Prairie Springs Ranch—old fashioned, 100% grass raised beef made affordable to families. Animals are born and raised here and are entirely grass fed and finished. No pesticides, hormones or antibiotics. Your meat is dry-aged, custom cut and wrapped by folks who have been in the business for 50 years. The animals are Chiangus, an Italian cross with registered Angus. We charge $3.49 per pound hanging weight. This price INCLUDES butcher, cutting and wrapping. Every fall the healthy grass-fed animals are processed by the whole, half, or quarter to bring to your table. Our lowland pasture has a longer than usual growing season, so we usually butcher mid to late November. We hope to hear from you! Don’t delay: we usually sell out early. Prairie Springs Ranch, John and Jean Shea, PO Box 311, Bow WA 98232. (360) 421-0535. E-mail is best: reality@fidalgo.net. Website and order forms: www.prairiespringsranch.com. Pride & Joy Dairy is located in the agriculturally rich Yakima Valley. Note from Eatwild 4/17/18: Pride & Joy Dairy is no longer selling Raw Milk, but are continuing to sell their eggs, meat and cheese from their farm store. Please see their website for more information. Our signature item is our delicious and rich “cream on the top” WSDA certified organic and grass fed raw cow’s milk products. Because our cows are fed 100% grass eight months of the year, the resulting dairy products are packed with omega 3’s and cancer-preventing CLA’s (conjugated linoleic acid). Our Grade A grass fed raw cow’s milk is available year-around and our cow’s are pampered with a no stress lifestyle. They feast on luscious fresh green grass and our pastures are farmed with management intensive grazing (MIG) practices. This intensive pasture rotation plan is used in lieu of chemical fertilizers or pesticides. During the winter months when fresh grass is not available, we purchase high mountain certified organic hay from Simon Farms in Fairfield, ID. Our free-ranging chickens forage, fertilize and cleanse the pastures behind our dairy herd. The resulting dairy, meat, and eggs are of impeccable quality both in flavor and health properties. We have been farming with organic and chemical-free practices for over 15 years and have been certified organic with the WSDA for the past 5 years. None of our animals are fed antibiotics or hormones and our pastures are not treated with pesticides, synthetic fertilizers, or any chemical substances. We also offer 100% grass feed beef and lamb. Our beef is available in whole and halves and is dry-aged and custom cut according to your specifications—generally available late fall. As part of our MIG practices, we also have fresh eggs available on a limited basis. We encourage visitors to come to the farm! We’d love to take you on a tour and show off our working Border Collie dogs. Please visit our website, email, or call for more information. And check this listing frequently as our product line is growing! Pride & Joy Dairy, Allen and Cheryl Voortman, 2145 Liberty Road, Granger WA 98932. (509) 854-1389. Promised Land Ranch is a family farm located in the mountains of the Okanogan Highlands. We offer grassfed beef, pastured chickens and turkeys, eggs from pastured hens, rabbits and vegetables. We practice sustainable farming methods and raise our animals in as natural conditions as possible with lots of green grass as the cornerstone. The meat is free of artificial hormones and antibiotics. Grassfed beef is available in whole, halves, or split halves. Pastured poultry is available as whole fryers and stewing hens. Rabbits, turkeys and fresh produce are available as well. We believe that an honest, open relationship between farmer and consumer is mutually beneficial and encourage you to visit. Call for more information and a newsletter. Promised Land Ranch, Joel or Sara Kretz, 1014 Toroda Creek Road, Wauconda WA 98859. Phone: (509) 779-4105. Ramstead Ranch is a diversified farm located 80 miles north of Spokane. We are committed to sustainable agriculture using grazing methods that help our land and our animals thrive. Find our price list and place your orders online. You can pick up our meats at local farmers’ markets and specialty groceries in Spokane, WA and Sandpoint, ID. Come by the farm to buy directly from your farmer, or join our mailing list to hear about our growing number of drop sites to pick up our meats in your local area. Beef—100% Grassfed and grass-finished on our lush pastures; steaks, roasts, ribs and more. Turkey—Pasture-raised turkeys that forage on actively growing pastures; whole birds available seasonally; ground turkey, legs, thighs and wings. Organ meats, lard/suet, and bones are also available by the package. Raw Wool Fleeces. Don't forget the fiber! Our Romney and Romney-cross sheep not only produce tender lamb, but they also grow incredible fleeces. Two out of three farmers here at Ramstead are also handspinners who take care to raise beautifully clean fleeces that are a dream to handle. Ramstead Ranch, Eileen Napier, PO Box 470, 990 Dennis Road, Ione, WA 99139. (509) 442-4725. E-mail: eileen@ramsteadranch.com. Website: www.ramsteadranch.com; Facebook: www.facebook.com/RamsteadRanch. Rocky Ridge Ranch raises free-range pastured beef, pork and poultry. We practice all natural methods, which means no medications, hormones, or animal by-products are ever used in the feed. We mix and grind all our pork and poultry feed using all natural products. Our beef comes from Angus-X cows that calf on open range and never experience confinement. They stay in a natural family group herd as they are rotated through seven 40-acre pastures. They are grazed on a forage mix of annual crops for a high quality natural forage finish in the late summer. Beef are sold by quarter, half or whole and custom processed locally. Pork are heritage breeds such as the Berkshire, famous for its high quality meat and adaptation to pasture. It is sold in halves or wholes, and custom processed locally. Poultry: We have broilers and turkeys and layers for high quality eggs. Please review our website and place orders early to insure availability. We welcome your call or visit at the farm where we also grow organic produce. Rocky Ridge Ranch, Gary M. Angell, PO Box 175, Reardan WA 99029. (509) 953-0905 / 796-3988. Sage View Farm is located in Ellensburg, Washington. We provide custom raised, 100% grain-free, grass fed beef raised in an all natural environment. We are a reputable farm where we stand behind our product 100%. Visit us on our website and on Facebook. Feel free to call or email for more information. Sage View Farm, Tim and Jana McIntyre, 11461 Thrall Road, Ellensburg WA 98926. (509) 607-3805. We sell our products only through local channels. Our meat, dairy, eggs, cheese, wines and prepared foods such as pates, sausages and meat broths are available from our retail butcher shop and restaurant in downtown Vashon Island, as well as the University District and Ballard Farmer’s Markets in Seattle. Our pure, whole, unadulterated cow’s milk is also available at the Madison Market (now Central Co-op) at 17th & Madison in Seattle. Please Note: We never freeze our meats, we do not ship, we do not deliver, we do not do CSAs, we do not organize any "Buying Clubs," and we do not sell "locker meats" (whole or half carcass packages). Our focus is on fresh, local, retail sales. Thank you for understanding. Farmers Markets: University District Farmer’s Market—Saturdays 9am–2 pm, Year-Round. Meat, dairy, eggs, wine, prepared foods. Ballard Farmer’s Market—Sundays 10am–3 pm, Year-Round. Meat, dairy, eggs, wine, prepared foods. Grocery Stores: Madison Market (Central Co-op), 17th & Madison, Seattle, WA. Whole, raw, grass-fed cow’s milk. Restaurants: La Boucherie, Vashon Island (Our own restaurant). Sea Breeze Farm, Please contact us at our retail location, La Boucherie: (206) 567-4628 (GOAT). Contact e-mails here: http://seabreezefarm.net/contact_us.html. Website: www.seabreezefarm.net. Short's Family Farm lies in the rain shadow of the beautiful Olympic Mountains. Our natural 100% grassfed and finished beef is grown on the lush pastures of Chimacum Valley. By frequently rotating pastures our cattle learn to appreciate our presence. We reward the cattle with fresh, untrampled lush grass and clover and they reward us by being easy to handle. Even with over 100 mature cows and over 100 offspring, we know the unique individuality of the herd and they certainly know us. The established bond makes for a low stress environment. We manage special pastures for finishing 60–90 days before harvest to boost nutritional value, flavor, marbling and tenderness. You can buy a whole, half or quarter. You can also buy individual cuts that are double paper wrapped and frozen. All harvesting, aging, cutting and wrapping is done under the watchful eyes of USDA inspectors. Because our soils are mostly peat in a frequently flooded valley, we must keep our cattle in a large confinement area in the winter to protect water quality and salmon habitat and to reduce field pugging. Our grass and clover hay and silage are fed at these times. Our farm store is open Saturdays, 10-3pm. We are looking for people to serve as drop off points. Beyond the Farm: We sell at the Chimacum Grange Farmers Market and Port Ludlow Farmers Market May thru October. Port Townsend Food Coop has our beef year-round. Please check us out and enjoy local, tender, flavorful, nutritious natural 100% grassfed beef. Short's Family Farm, Roger Short, 1720 Center Road, Chimacum WA 98325. (360) 732-4601 or (360) 301-3521. Skagit River Ranch is a family-owned organic farm located in Sedro-Woolley. We specialize in 100% grass-fed, Certified Organic Angus and Wagyu (Kobe) beef. Certified Organic since 1998, we farm bio-dynamically to build the soil and nutrient rich grass that grow healthy animals. No antibiotics. No hormones. No chemicals. We practice sustainable agriculture by using a pasture rotation system where our animals graze on new green pasture on a daily basis to receive maximum nutrition without overburdening the soil. We are dedicated to providing our customers with the most wholesome, best tasting, ethically raised Certified Organic beef, pork, chicken and eggs available. Farm Store on our ranch – We sell individual cuts of meat, eggs, as well as beef in quarters, halves, or wholes (place order online, pick up at store). Open Saturdays from 10 am – 6 pm all year. Please see details on our website. We can now ship our Certified Organic Wagyu (Kobe) Beef and Certified Organic Pork products via Federal Express to anywhere in the U.S. Although we encourage people to purchase locally as much as possible, if you cannot find a good local source on the eatwild.com guide, we will gladly ship our products to you. Just go to our website and place your order online, it will ship to you FedEx 2Day (shipping is included in the price of the items). Skagit River Ranch, LLC., George and Eiko Vojkovich, 28778 Utopia Road, Sedro-Woolley, WA 98284. (360) 856-0722. Fax: (360) 856-1372. Skiyou Ranch is a fourth generation small family farm located in Sedro Woolley, about an hour and a half north of Seattle. We specialize in 100% grassfed Certified Organic Angus beef. We are a closed herd, therefore no exposure, having no risk of disease. No antibiotics or chemicals are used. We are a sustainable farm promoting humanely and ethically raised animals. Please visit our website for ordering details. Skiyou Ranch, Tarie and Lonn Benson, 26910 Duffy Road, Sedro Wooley WA 98284. (360) 708-3292. Soggy Feet Enterprises, located in Scappoose, Oregon, is a first generation family farm, offering local, pasture-raised, natural grass fed and finished beef. Our beef is USDA Certified Grass Fed/Finished (we are one of only two farms in the state with this certification). We do not feed our cattle any grains, antibiotics, GMOs, or use any type of hormones. Our cattle are on pasture year round. During the winter when pasture grass is not growing, we supplement with grass and clover haylage and grass hay that we grow and harvest ourselves. Our cattle are primarily Black Angus, with a few Angus/Hereford or Charolais crosses (no dairy breeds). Our beef is available in whole, half, and quarter shares throughout the year. Wholes, halves, and quarters are vacuum packed and cut and packaged to your specifications. (A quarter beef usually fits in 2–3 of our boxes measuring 12"x12"x18".) We also offer 25-lb and 50-lb ground beef boxes (subject to availability, vacuum packaged in 1-lb packages). Our ground beef is made only a few times a year. One whole beef is de-boned and ground and all the premium cuts are included as well to make an amazing, high-quality, lean ground beef. If you are interested in placing an order, or would like to ask a few questions to find out if this is the right option for you, please feel free to give us a call. We accept most major credit cards and offer on farm pickup for your orders. Soggy Feet Enterprises, Amanda Hoyt, 35635 E Columbia Avenue, Scappoose OR 97056. (503) 730-2517. The Teas Ranch is in the Okanagan Highlands. Our 670-acre farm provides live calves and cows as well as beef. We specialize in Highland Cattle, the oldest breed. Calves stay with their mothers for at least 4 months. Our animals don't do drugs. Whole, halves, and split halves of grassfed beef are available in September–October. Cows and calves are available year-round. Meat is marketed in September and October. Delivery can be made to Oroville. Please get your order in early. The Teas Ranch, "Sy" or Hattie Teas, 70 Teas Road, Oroville WA 98844. (509) 485-4027. Teddy Bear Farm, located near Mount Spokane, has been family owned since 1944. We raise grass fed beef on natural grass and clover pastures. Several local processors are available to process your half or whole beef to your specifications. Teddy Bear Farm, Warren and Sylvia Riddle, 13616 E Mt. Spokane Drive, Mead WA 99021. (509) 464-4490. Texas Ridge in Deary, Idaho is home to exceptional quality pastured pork and grass-fed, grass-finished beef. Our specialized beef cattle and grazing pigs are uniquely bred for flavor and responsibly raised and finished on pasture. The result is healthy meat with flavor intensity that can't be matched anywhere else on the market. Texas Ridge beef is 100% grass fed, grass finished, and grain free. Texas Ridge pastured pork receive species-appropriate supplementation of 100% locally grown, non-GMO grain and legumes. Customers can order with confidence knowing Texas Ridge exceeds organic and sustainable standards by employing regenerative agriculture principles to every phase of its operation, including managed intensive rotational livestock grazing and no-till cover crops, all designed to restore and improve soil condition and fertility. We are on the leading edge on the use and integration of these practices in the Northwest, and have demonstrated success employing these methods to actually improve land over time, meaning Texas Ridge beef and pork is better for the animal, better for you, AND better for the planet. We offer a full range of beef and pork products from whole and half animal orders to individual cuts of meat, processed under USDA inspection. Custom orders are welcome. Free local drop-point delivery is included with no minimum to order. Also ask us about our top-quality ADGA Registered Nubian dairy goats and working Livestock Guardian Dogs! "Texas Ridge Everything good grows here.™"
Texas Ridge LLC, Erika Sattler, PO Box 255, Deary, ID 83823. (208) 907-1405. The 3-Bell Ranch, LLC is committed to sustainable agriculture practices. We do not apply poison to our land. We use rotational grazing strategies and natural fertilizers to produce our crops. We are not certified organic but are strict with regard to our avoidance of toxins -- including GMO Frandkenfeeds or Frankenseeds. We sell beef, chicken, Tamworth and Tamworth-Duroc heritage weaner pigs, as well as poly-culture horse hay (tests low in sugar/ carbs and works well for even EMS horses) and rabbit. Please see our web site for availability of products. Our cows do not eat grain. They eat pasture or, when pasture is not available, our own farm-produced hay. They are 100% grass-fed/finished. They are born here and spend their entire lives on this property. We are committed to humane treatment of our animals. We raise our animals in rich social environments on quality pasture. We make every effort to consider the physical, social and emotional well-being of our animals from birth to death. Because we are 4+ hours from the nearest USDA certified meat processing plant, and we refuse to punish our animals with long trailer rides to a strange place in order to be killed and butchered, we cannot offer our meat for sale at restaurants, grocery stores or even the Farmer's Markets. Therefore, to purchase any of our meat products, farm pick up is required at this time. Visitors who come from longer distances are welcome to join us for an over-night visit as our personal guests. Being on the ranch can provide you and your family with a vacation as well as an opportunity to create a special bond with the animals and people of The 3-Bell Ranch. 3 Sisters Family Farms raises all-natural grass fed and grass finished beef, all-natural pork, grass fed and grass finished lamb, and all-natural broilers (chickens). We are primarily self sufficient, raising all the feed that our animals eat. We focus on having a very low stress environment where our animals are born, raised and butchered here on the farm. We are involved in the mobile slaughter unit that comes right to the farm. We farm about 800 acres here on Whidbey Island. Our individual meat cuts are available for purchase year around at 3 Sisters Market which is open everyday from 9am to 6pm. We do sell our meat in 1/4, 1/2 and wholes for bulk purchases. 3 Sisters Farmily Farms, Roshel Donwen, 779 Holbrook Road, Coupeville WA 98239. Thousand Hills Ranch Grass Finished Beef. We've raised the steaks! You like to eat beef and so do we. That's why our goal is to raise quality and nutritious grass fed/pasture finished beef from pasture to table, 100% antibiotic and hormone free. Having been raised in the ranching industry we are familiar with all aspects of cattle and raising quality beef. We have found that beef tastes best and is best for you when cattle eat what God designed them to eat. We butcher twice yearly offering whole, half or quarters. Our carcasses are in the 550-650 lb. range. For more information, current pricing and dates about beef from our ranch, please send us a note or give us a call. We are a family-owned cow outfit, come visit the ranch in eastern Washington. Thousand Hills Ranch, Chane and Tricia Roghair, 23851 Highway 10, Cle Elum WA. (509) 674-9529. Toboton Creek Enterprises has been in the business of raising Boer and Boer/Kiko cross bred goats for about six years. In August 2006 we began offering USDA inspected packaged goat meat. We are proud of the naturally raised and hormone free product coming from our pasture fed goats and have no lack of customers ‘from the farm.’ Now we are offering our excellent meat via the internet for those who want to enjoy healthy eating. Goat meat is an excellent source of protein and is much lower in saturated fat and cholesterol than most other meat sources. Soon we will be able to cryovac our products and ship them any where. We have also been approached and hope soon to have this home grown meat served in restaurants. Toboton Creek Enterprises, 17847 Bald Hill Road SE, Yelm WA 98597. (360) 894-5691. E-mail: lyndants@ywave.com. Website: Not active at this time (2018). TreeBird Organics aims to be a year-round source for local, organic and humanely raised food that is grown with environmental, social, and economic consciousness (the three tiers of sustainable farming). Our goals are to increase the sustainability of farming practices, create good jobs that pay living wages, have a transparent and welcoming farm that is open to the community, and support the education of children and consumers in what it means to have a sustainable food system. We practice inter-species farming and rotational grazing for the health of our pastures and animals. From paying our team members a true living wage (over 1.5 times our state minimum wage) to feeding 100% certified organic feed, to adhering to the highest animal welfare standard the in country, we are setting the bar high for a new way of thinking about how our food is produced. Every part of how we structure our business and our days is rooted in our passion to ensure that what we do is a reflection of our respect and our beliefs in the natural world and the good of humanity. Our Certified Organic and Animal Welfare Approved Eggs can be purchased in Hood River, OR at Rosauers, The Farm Stand in the Gorge and the Hood River Farmers Market. In White Salmon, WA at Feast Market and the White Salmon Farmers Market. All of our products including eggs and organically fed beef / pork can be purchased here at the farm. TreeBird Organics, Rebecca Wellman, Michael Kelly, Joanna Bakken, 573 Sunnyside Road, Trout Lake WA 98650. 509-395-3600. Union Hill Grassfed Beef raises a small herd on a 9-acre farm which rests within the footprint of an 1800s era dairy farm. Our mixed breed beef herd is free-range without growth hormones, antibiotics or insecticides beyond fly powder. We do not feed any grain or other supplements. Fodder includes garden and orchard leavings. We feed Ellensburg hay and alfalfa during the winter months and slaughter in early winter. Sales are by the quarter (split half) or larger, in association with a local (Snohomish County) butcher who cuts, wraps and freezes. We sell by the hanging weight with no additional charges. Our beef is lean, yielding 55% to 75% depending on the size of the animal. We do not ship or deliver. Visitors are welcome by arrangement. Union Hill Grassfed Beef, Peter Hendrickson or Nancy Temkin, 7550 205th Avenue NE, Redmond WA 98053. (206) 658-5930. Vital Choice was founded by a 20-year veteran Alaskan salmon fisherman to provide consumers nation-wide with reliable year-around access to premium quality wild-harvest seafood. The company offers convenient home delivery of hard-to-find, environmentally sustainable, health-promoting foods. These include premium fresh-frozen wild salmon, halibut, sablefish, sardines, tuna, prawns, scallops, king crab, and sockeye salmon oil supplements, as well as organic berries, herbs & spices, teas, nuts, dark chocolate and more. Products sources are the purest available and guaranteed sustainably harvested from healthy, well-managed fisheries and farms. Shipping is free on orders $99 and over, and all orders are 100% satisfaction guaranteed. Vital Choice is endorsed by a large number of health experts and environmental organizations, and a percentage of annual sales are donated to non profit organizations, such as the Natural Resources Defense Counsel, The Marine Stewardship Counsel, The Blue Ocean Institute, The Monterey Bay Aquarium, The Live Strong Foundation, and others. Vital Choice products are available via our direct-mail catalog and website or call our toll free number. Our customer service operators are available: Monday through Friday: 7 am to 5 pm Saturday 9-5 Sundays 10-5. (All times Pacific). Vital Choice Wild Seafood & Organics, Randy Hartnell, PO Box 4121, Bellingham WA 98225. (800) 608-4825 (Customer Service) or (360) 325-0104 (Office). West Valley Beef is committed to providing quality grass-fed beef while maintaining the environment. Located in the fertile Snoqualmie Valley, our beef are managed over 120 acres of lush green pasture and hay ground. Our beef is 100% grass-fed and at no time are they fed grain, by-products, or given growth hormones or other growth enhancers. A third generation farming family, we are passionate about farming and educating people about the importance of maintaining the family farm and locally grown products. Our animals are raised in a stress-free, calm environment and are available by the 1/4, 1/2, or whole carcass cut to your specifications by the butcher. Call or e-mail for more information or to reserve your beef. When Pigs Fly Farm is a small sustainable farm located south east of Mount Vernon, Washington. The gardens provide a wide variety of fresh produce as well as seasonal berries. The farm is shared with two Highland cows, forty laying hens, two gentleman horses, thousands of busy honey bees and Sam, our Shepherd. We have veggies, berries (strawberries, raspberries, blueberries and blackberries) apples, flowers, eggs and hopefully this year our first batch of honey. We use sustainable practices and our "girls" are on pasture except for at night. Then they are enclosed in a quarter-acre fenced yard with a coop so they have access to the outdoors all the time. Unlike some bee keepers, we do not feed our bees high fructose corn syrup. They are kept on their own honey over the winter which is why we had none our first year. We look forward to welcoming you for a visit, perhaps a class, or an overnight stay at the farm. You are welcome to participate with chores, help pick your own produce, and learn more about sustainable practices. When Pigs Fly Farm, Chris Hamer, 19997 Hwy 9, Mount Vernon, WA 98274. (360) 420-0606. Whitaker Farms is located near Odessa, WA where we graze cattle on open range. In our closed herd calves are born, raised and finished on the ranch. They live in clean pastures with fresh water and free-choice of alfalfa grass hay. We are a small, family-owned and operated ranch committed to raising the healthiest beef possible. We have been in the cattle business for over twenty years. Our mission is to provide you with clean, wholesome grassfed beef, reliably delivered to your freezer. Whitaker cattle are grazed on natural and diverse pastures. We don't use hormones or antibiotics and the pastures are also free of chemical fertilizers and pesticides. We believe that many food products on the market today are not safe and that animals are not raised in a clean environment. We feel that our product is safe from disease and bacteria because we have a closed herd. You can order from us by going to our website. Credit cards are welcome. Whitaker Grassfed Beef LLC, Richard Whitaker, PO Box 551, Odessa WA 99159. (509) 982-2028. Wild Edge Farm is a small family farm west of Port Angeles, Washington. Our land lies along the Elwha River, a resource that has for centuries fed the people of this area. The name Wild Edge Farm comes from our belief that today, more than ever, nurtured wild edges are an essential ingredient for health and well-being. By managing grazing and leaving edges, our pastures maintain diversity and improve soil health, allowing us to offer grass fed beef and pork that is nutrient dense from animals raised with care. We practice regenerative agriculture, focusing on soil life by minimizing tillage, and utilizing cover crops, bio-char, multi-species grazing, and crop rotation. By integrating animal agriculture with our vegetable production we improve soil health while increasing the nutrient density of our vegetables. Our heritage breed Tamworth hogs are raised outdoors year round on the farm. Our beef is 100% grass fed, moved daily to maximize nutrition. The flash grazing of beef followed by pigs and chickens limits disturbance and distributes nutrients to the pasture grasses. We sell beef and pork shares, as well as quarter, half and whole animals. Sign up is year round. We supply meat and vegetables locally at the Port Angeles Farmers’ Market and through the Farm to Food Pantry program. Our 20 week CSA runs from mid-June to early November. If you are interested in purchasing, please visit our website for more information on how to order. Our focus is local, so we do not ship. Wild Edge Farm, Jim and Karen Weaver, 621 Sisson Road, Port Angeles, WA 98363. 360-912-2977. Williamson Farms is owned and operated by the Williamson family. We're located in the Columbia Basin near George, Washington and blessed with clear air, clean water, and fertile soils. The rain-shadow of the Cascade Mountains and hot days with cool nights create a high sugar content in plants. These are the keys to the Basin's world-renowned delicious fruits, vegetables, high quality wines, and now for our Grassfed Natural Beef, grown without antibiotics or added hormones. Our animals are raised year-round completely on forage in the pasture. Depending on weather conditions, some hay might be fed for a very short period, but absolutely no grain, thus retaining the highest potential health benefits for you and your family. Emphasizing better conservation and stewardship, our production techniques enhance the environment through innovative rotational grazing, animal welfare, and sound agricultural practices, creating a more sustainable agriculture both environmentally and economically. In order to receive your tender, juicy, 21-day-dry-aged Grassfed Natural Beef with a delicious, distinctive flavor, or for more information, contact us at the numbers below. Credit cards are accepted. Williamson Farms, PO Box 5245, George WA 98824. Toll-free: (888) 881-5731. Windy N Ranch, Ellensburg, WA. Beef, chickens (roasters and stewing hens), pheasants, pork, turkey, lamb, goat, and chicken eggs. Shipping available in the Western states. Simply stated: clean food, animals do not do drugs, Certified Organic pastures, Certified Organic beef, pigs, goats, lamb, turkeys, pheasants, and chickens, and all Animal Welfare Approved. One stop ranch for all your proteins. Come for a tour to see for yourself. Windy N Ranch is located in Eastern Washington’s Kittitas Valley, just outside Ellensburg and Central Washington University. One visit and you’ll know why we’re called the Windy N Ranch. The winds blow easterly from the Cascades, keeping our environment crisp, clean, and clear, as you can see from our views. We are committed to the humane treatment of all our animals as we strive to bring you the highest quality grassfed and pastured animal products including grassfed Certified Organic Wagyu (as in Kobe beef) / Black Angus Beef (exclusively grassfed), Certified Organic Freedom Ranger pastured meat Chickens aka pastured Poulet Rouge Chickens via France, pastured Certified Organic Ring-Necked Pheasants, pastured Certified Organic Pork, pastured Certified Organic heritage Thanksgiving Turkeys, pastured Certified Organic Lamb (exclusively grassfed), pastured Certified Organic Goat (exclusively grassfed), and real honest to goodness free-range Certified Organic chicken Eggs. Our animals browse our high quality native grasses as well as our own orchardgrass and alfalfa. They are never fed nor given antibiotics, growth hormones, steroids, stimulants or ionophores, and our fields do not receive herbicides or pesticides, bringing you a healthier product, lower in fat and higher in heart-healthy Omega-3 fatty acids and Conjugated Linoleic Acid. Certified by Animal Welfare Approved—A tough certification to obtain and maintain. We have more species certified in the United States than any other; crazy, aren't we! USDA Certified Organic—Certified Organic beef, pigs, lambs, goats, turkeys, pheasants, meat chickens and chicken eggs. A tough certification to obtain and maintain. We treat our animals and customers with respect and welcome your visit to the Windy N Ranch for a tour. We can ship to you if you cannot visit us. There is nothing like a firsthand visit to assure you of your food source. Please call or email us to make arrangements. Windy N Ranch, Bradley and Lisha Newhall, 3650 Passmore Road, Ellensburg WA 98926. Ranch: (509) 962-4873. Mobile: (509) 607-0105; Bradley and Lisha Newhall Mobile: (509) 607-3256. E-mail: bradley@windyNranch.com, greg@windyNranch.com. Website: www.windyNranch.com. Check us out on Craig’s List as well. Page last updated on 4/1/19.